Multiple Award Winner for the past three years! 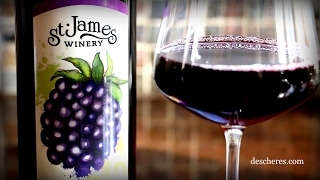 Is it fresh picked blackberries in a bottle, or Blackberry wine? Tough call. Sweet and delicious served chilled with your favorite dessert or for no reason at all, except to enjoy. Watch our video for an added bonus tip.